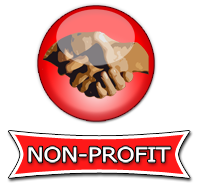 * Each case has 6 packages of popcorn, raising $60.00 per case! 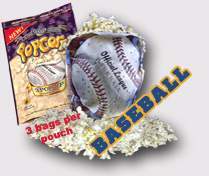 * Each case contains one style of popcorn, and each package sells for $10. 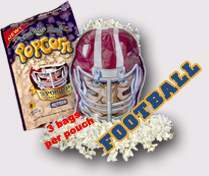 # Participants # popcorn packages sold each = $- profit! 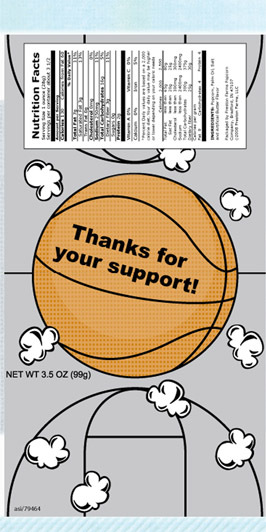 Take pre-orders from supporters for popcorn (minimum 6 packages per theme). 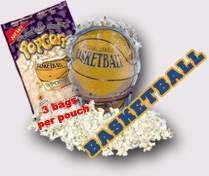 Order popcorn from us to fulfill the orders. Distribute the popcorn and collect your money! Order a case of popcorn. 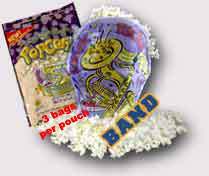 Each case comes with six packages that contain three 3oz bags of fundraising popcorn. 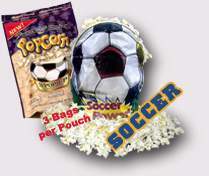 Sell popcorn to supporters for $10.00 per package. Order today to receive your popcorn in I cannot connect to the database because: Access denied for user 'fasttr3_haz'@'localhost' (using password: YES) business days. 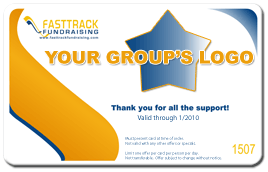 Looking for a healthy way to raise funds for your group? 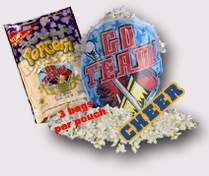 Introducing the perfect solution for a healthy fundraiser - popcorn in fun themed bags! It's a snacking experience that both kids and adults will love! 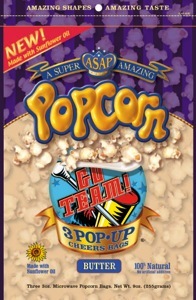 Excellent source of whole grain - 3 cups of popped popcorn equal one serving of whole grain. 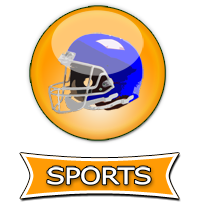 A variety of fun styles to choose from including baseball, basketball, and more! 3 popcorn bags per package! 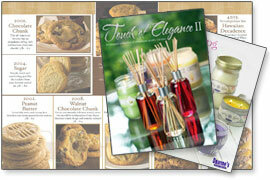 Free and Easy to ship .. doesn't melt like candy bars. With a long shelf life and temperature resistant packaging, this is the must-have product for your next fundraising campaign. 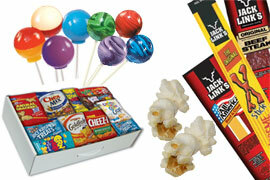 Microwave popcorn in a variety of fun themes and flavors has become one of the easiest fundraising products to handle. The National Cancer Institute (NCI), suggests fiber in the diet to reduce the risk of some forms of cancer. 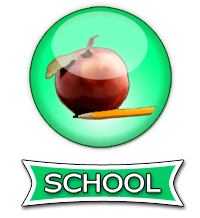 The American Dietetic Association recommends popcorn as a high fiber snack food. The National Institute of Dental and Craniofacial Research lists popcorn as a smart, low/no sugar snack. The American Diabetes Association and the American Dietetic Association permit popcorn as a starch exchange on weight controlled diets. The Feingold Diet for Hyperactive Children permits popcorn because it contains no artificial additives. Health experts agree Popcorn is all-around a good food. 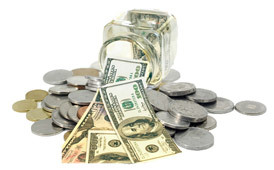 Americans spend $1,800,000,000 annually on microwave popcorn. Now that is a lot of seeds! Americans consume 17 billion quarts of popped popcorn annually. That is 54 quarts per man woman and child. 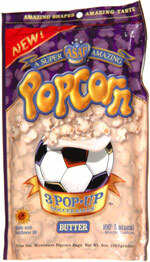 Popcorn is a popular snack with all age groups. Whole grains, as part of a healthy diet, can help you manage your weight and reduce the risk of chronic diseases. Dietary guidelines recommend at least three servings of whole grains each day. Popcorn is a fun source of whole grain! The popcorn is diacetyl (artificial flavoring) and transfat free - making this a 100% safe and healthy fundraiser. 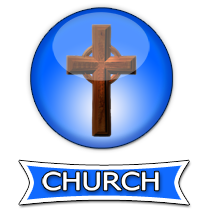 Kosher parve certified. Every year Americans consume about 17 billion quarts of popped popcorn. That's about 54 quarts per person! Considering that popcorn is also rated in the Top 3% of nutritious snacks, you can see why popcorn is a hot product. 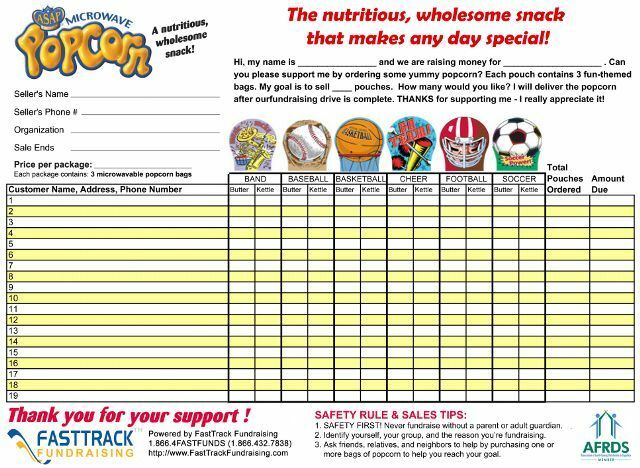 Start your fun and nutritious fundraiser today! P.S. Order today to receive your popcorn in I cannot connect to the database because: Access denied for user 'fasttr3_haz'@'localhost' (using password: YES) business days.